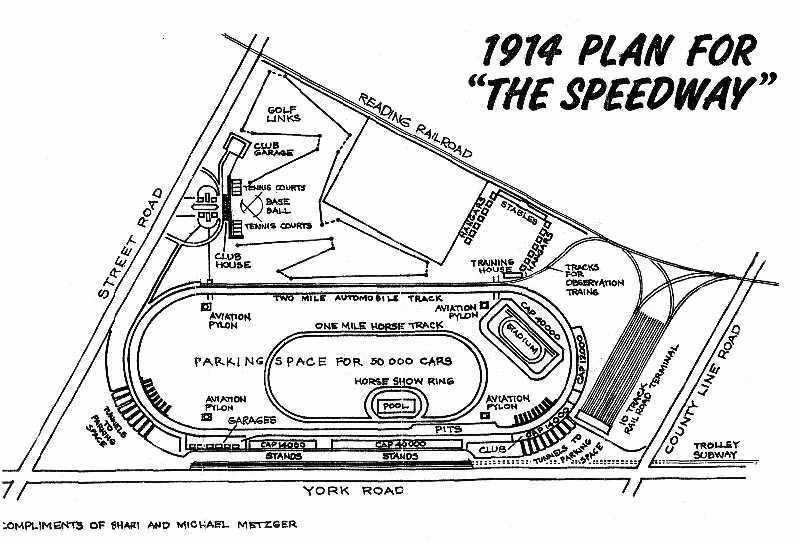 Early in the 20th century there was a plan to bring "big time" racing to Warminster. Had it succeeded Warminster might be a quite different town today. Perhaps the Indy we know now would have been here! Construction began but the depression brought it to a halt. Here is a plan of how it could have looked. This is a large area just southwest of the former NAWC complex.